The Residence Life Program aims at engaging you with the cultural immersion in Greece and The American College of Greece! Comprised of diverse components, our program includes but is not limited to day-trip excursions, casual gatherings, the Philoxenia Program and more! “Philoxenia” [«φιλοξενία»] is the ancient Greek word used to describe the concept of hospitality, the generosity and courtesy shown to those who are far from home. The act of welcoming, caring for, and entertaining visitors from abroad formed an institution central to the social life of ancient Greeks. 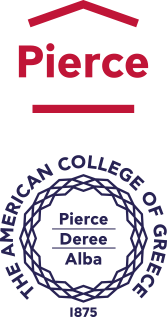 The American College of Greece, DEREE, continues this ancient tradition today through its Philoxenia Program. The Program aims at fostering friendships and cultural understanding among the many nationalities here at ACG. The ACG Buddies initiative is an open door to the world. We have a community of energetic students who are committed to offering their services to the International Student Community and are an integral aspect of their experience at ACG. By joining the ACG Buddies our students have the opportunity to connect with the students visiting ACG from around the globe. The mission of ACG Buddies is to promote cultural exchange between Greek and international students through educational and entertainment activities! Don’t miss out on the life changing experience of serving as an ACG Buddy! Click here to download the application and apply now! What are the privileges of an ACG Buddy? What are the qualities of an ACG Buddy? All members of the ACG community are invited to sign-up and join the Host Family Program. Host Families show the true meaning of Greek hospitality to two or more international students, introduce them to their family and/or friends, and enjoy a home-cooked meal, a stroll around their neighborhood, or a weekend excursion. This initiative is a way for international students to learn more about Greek culture, and for host families to see the world through the international students’ eyes! ACG faculty, staff members, alumni, and ACG Buddies who would like to be part of the Host Family Program are kindly requested to contact the Office of Residential and International Student Services via email to sign up at [email protected]. Three day-trip excursions throughout the duration of any given academic Semester and one excursion during each Summer Session will give you the opportunity to discover more about what Greece has to offer. Please note that these excursions are included in the Study Abroad Comprehensive Fee. Our Semester excursions include a Greek mainland destination, a Greek island, and sites of historical importance. During Summer Sessions you will get to explore a beautiful island for the day!